On September 11, 2001, I was shocked, saddened and in disbelief at the events of the day. Just like every other American. I did not know anyone involved in any of those events. Not even remotely. My post today, for 9/11, is written about one person who died in that tragedy, but it’s in memory of all the innocent victims. 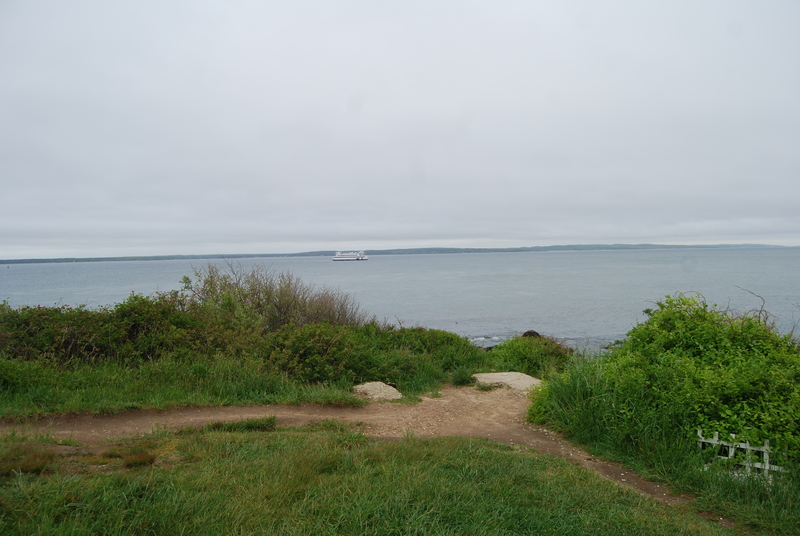 In May of 2010, Motor Man and I went on vacation to the Cape Cod area with our friends, Bev and Bill. Bev and I were enamored by all the lighthouses along the coast. Whenever we spotted one at a distance, Bill and Motor Man would map out a way for us to get closer so we could take pictures. One evening, after dinner, we were riding along a highway in Woods Hole, Massachusetts. We rounded a curve and suddenly, we were right beside a lighthouse. We soon learned that it was Nobska Point, built in 1876. Bev and I walked across the highway, where we found this beautiful view. And then…. we turned and saw this memorial. It’s hard to describe the feelings we had at that moment. We realized that we were as close as either of us had ever been to anyone involved in the tragedies of 9/11. When we returned home, I researched and discovered more about the area we had visited. 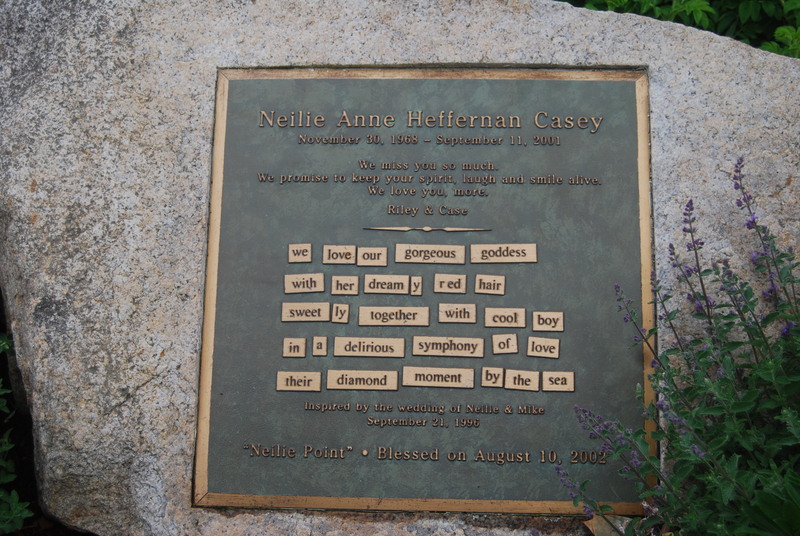 It’s known as Neilie’s Point, and is a living memorial to Neilie Anne Heffernan Casey. Neilie was aboard Flight 11, on a business trip, when it crashed into the World Trade Center. Ironically, she was employed by TJ Maxx, one of Bev’s and my favorite places to shop. 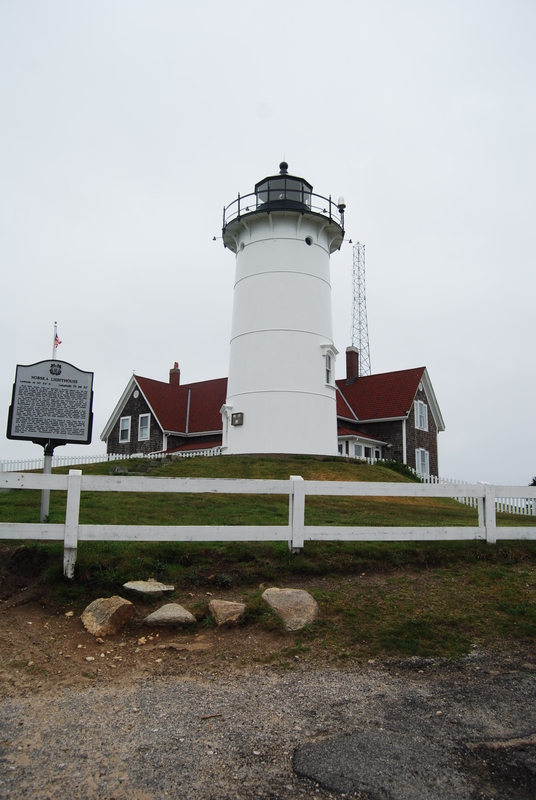 I learned that this location was special to Neilie: it’s where she and her husband were engaged, and their wedding photos were taken at Nobska Lighthouse. To learn more about Neilie’s memorial, click here. 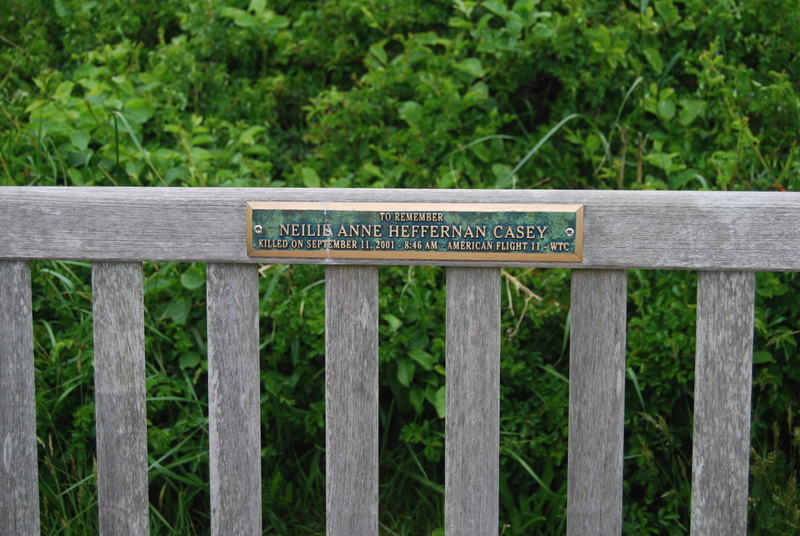 Today, as we remember 9/11, I’ll be thinking especially of Neilie’s family and the beautiful location of her memorial.